Free registration period for the 3rd gvSIG Festival is now open. The gvSIG Festival is a virtual conference about gvSIG that will be held in March 21st and 22nd. 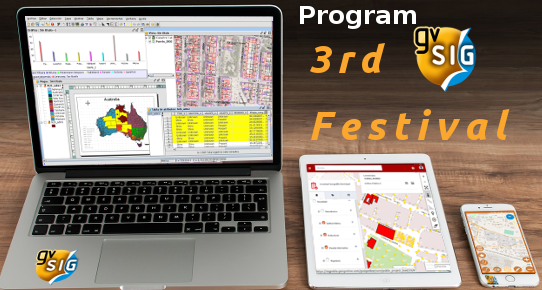 During the Festival there will be several presentations in English and Spanish, including a presentation about how to use gvSIG Mobile, the GIS application for mobile devices for field data gathering, or how to apply gvSIG in the field of archaeology or mining. You can check the full program of the gvSIG Festival on the event website. Registration for each webinar can be done from the program page of the gvSIG Festival website. This entry was posted in community, english, events, gvSIG Crime, gvSIG Desktop, gvSIG Mobile, gvSIG Online, training and tagged gvSIG Festival. Bookmark the permalink.